Before you learn about the various grades of plywood and which are most appropriate for use as underlayment, it is important to distinguish between an underlayment and subfloor. Though often used interchangeably, the two terms refer to different components of a well-structured floor design. A subfloor is a base layer designed to provide structural support. The subfloor is not expected to be smooth, as it is exposed to weathering and regular construction traffic, which is why an underlayment is necessary. The underlayment serves as a smooth, durable surface upon which the floor surface can be laid. Plywood has several different grades. An important aspect of choosing an underlayment is the flooring surface. Resilient floors, such as linoleum, rubber or fiber composite surfaces, and fully adhered carpet require an especially smooth underlayment because any flaws beneath (nail pops, splinters and cracks) have an increased visibility. Furthermore, the warranties of floor surfaces require that appropriate underlayment be used, so it is important to check with your manufacturer when planning floor construction or renovation. The several materials available for underlayment include particle board, hardboard and oriented-strand board (OSB), but American Plywood Association (APA)-graded plywood is widely accepted as a suitable choice for most jobs. In fact, the warranties of all resilient floor surfaces allow the use of certain APA-graded plywood as underlayment. As you weigh one grade over another, the most commonly considered factors are dimensional strength, a smooth, sanded surface and internal strength. As previously mentioned, it is important that the surface be smooth to avoid imperfections in the cosmetic layer of the floor. Dimensional strength refers to the material's ability to retain its original shape. Exposure to water and seasonal changes in temperature effect underlayment and must be compensated for in material construction. Finally, without adequate internal strength, damage from furniture weight or regular traffic may occur. Finding the right underlayment may seem like a tall task, but APA-graded plywood approved for use as underlayment (marked "underlayment") is labeled to identify its characteristics. Plywood is graded with a lettering system A through D, with the letter N sometimes used as well. 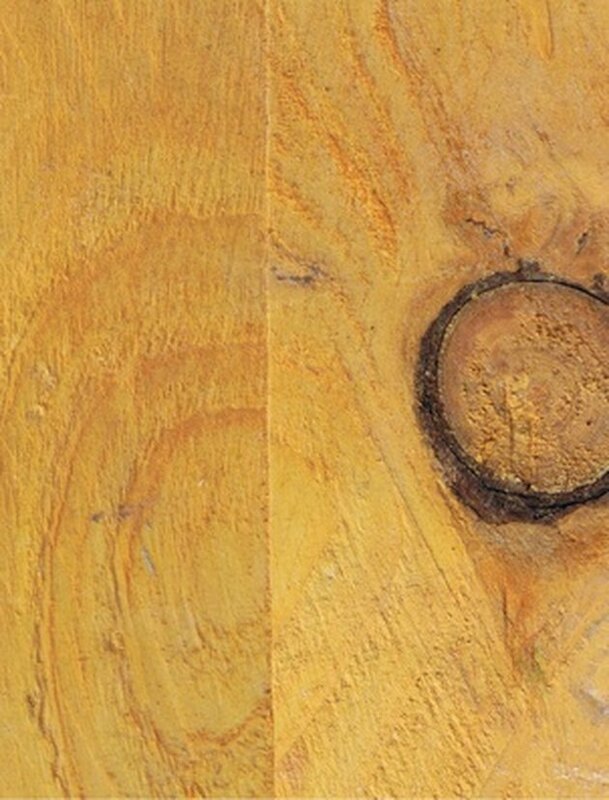 Grade N plywood is categorized by having the least number of blemishes, followed by A. The scale progresses to D, which has the greatest number of blemishes, splinters and knots. Typically, retailers use a two-letter system to indicate the quality of each side of the plywood. For example, grade A to C plywood has one side with a grade A finish (sanded and minimally damaged) and the opposite side is grade C (moderate blemishes and not fit for interior use). The reason being that there is no need for both sides to be of equal caliber when only one will affect project quality. Another characterization to check for is whether a sheet of plywood is labeled "Exposure 1" or "Exterior." Exposure 1 is constructed to withstand minimal water exposure and should not be used out of doors or in areas that are at risk for frequent water exposure. Exterior plywood is able to withstand repeated water exposure and weathering without being damaged. This class of plywood is appropriate for use outside as well in areas of the building that may experience contact with water, such as bathrooms and kitchens. A final mark to check is the thickness of the plywood. Most underlayment-approved plywood is at least 11/32 inches, the standard recommendation. Some professionals, however, will use plywood as thin as 1/4 inch for resilient flooring if the subfloor is in particularly good condition. Christian Barclay is currently an undergraduate in the Farmer School of Business at Miami University of Ohio. He has research experience in the field of chemical engineering and interned this previous summer at the Four Seasons Nile Plaza in Cairo, Egypt. He has written for Demand Studios since May 2009 and has been published on eHow.com and Golflink.com. What Type of Plywood for Floors?